In 1986, Michael Blauner, a trainer at a gym in Hawthorne, New Jersey visited California with some friends. After a few weeks hanging around California’s famed gym scene—even meeting Arnold Schwarzenegger along the way—Blauner knew individual personal training and being his own boss was the ultimate goal and dream. Since that fateful trip over 30 years ago, Blauner has been living his dream each and every day. Only 24 years old at the time, Blauner took to personal training right away finding the perfect spot for his and his client’s needs. Blauner’s beginnings in fitness started in college when he was working towards a law degree. “I started taking college courses in exercise and nutrition which I found fascinating,” said Blauner. The rest, is history. Today, Blauner has personal training certification and he is also a certified Pilates instructor. Blauner’s approach to personal training is all about individualism. 45,000 sessions later, it’s hard to argue with the results. Blauner believes you have to evaluate every second of the session and adapt the workout to the client’s mood, physical capabilities and limitations. Blauner is a lifelong member of the Body-Solid family, having purchased and used Body-Solid equipment for as long as he could remember. Since Blauner helps and aids clients with installs in their home, he’s found Body-Solid products and their compact footprint to be incredibly beneficial. Blauner is currently working on redesigning a gym in Hackensack, New Jersey and one of his first purchases for the reinvented space was a Body-Solid GS348Q Smith Machine. Blauner sees Body-Solid on an almost daily basis when working with clients in their home workout spaces. “(Body-Solid) is in a majority of my client’s home gyms,” said Blauner. The future for Blauner and personal training is hard to pin down at this moment as Blauner wants to evolve with the industry. In the end, Blauner has one goal: make fitness accessible to everyone. To Blauner, the definition of a successful exercise program is the one you do. Just as Blauner pursued his dream after that fateful trip to California, he hopes each and every one of his clients finds their true passion and love within fitness. For more information on Blauner, visit him at michaelblauner.com or call (201) 665-0591. You can also follow Blauner on Instagram at @Michael_Blauner or instagram.com/michael_blauner. 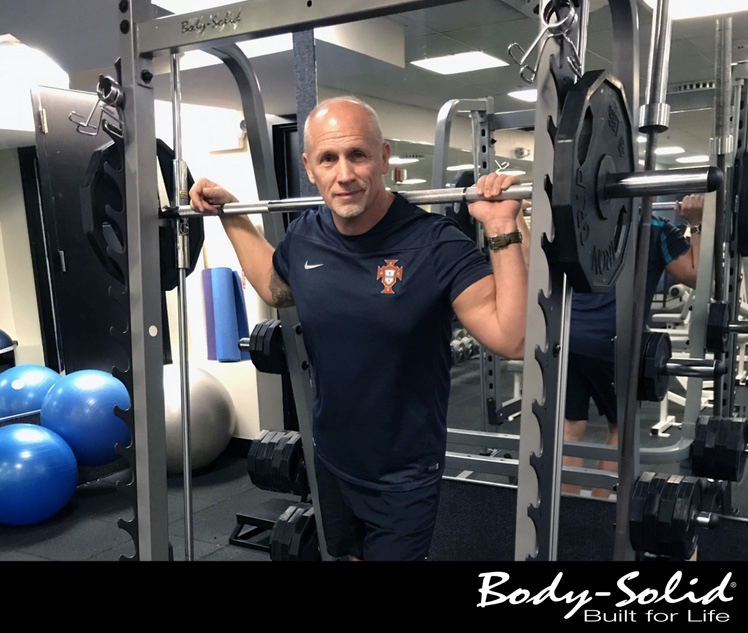 To learn more about Body-Solid and our benefits to personal trainers like Blauner, visit us at bodysolid.com/markets/personal_training, email sales@bodysolid.com or call (800) 833-1227.